A little over a year ago, I tried a parsnip for the very first time. And then, (new to the whole veggie box, and unsure of how to best get the vegetables out of the kitchen and into my gullet) I attacked the parsnips with gusto. And very very quickly overdosed on parsnip. I was fairly certain that no parsnip should ever pass my lips again. My little brother got married during this past year, and at his wedding the guests were served course after course of absolutely amazing food. Everything was locally sourced and fresh and seasonal and amazing. At the table where I was sitting, everyone raved about the vegetarian pot pie. I dove right in, and came up gasping for air... all I could taste was the parsnip. However, the world continues to turn and the seasons to change, and the root vegetables to mature. And lo and behold, again came the parsnip. Out of the earth and into my kitchen. I tentatively put one in a batch of vegetables I was roasting. I ate it nervously, and while I could taste it, it didn't leave me gagging. This led me to try to give the parsnip another real chance. One relative success I had with them last year was muffins. I couldn't get the kids to eat them at that time, and I was already parsnip-weary, so many of them ended up going to waste. However, as I recalled, they were really pretty nice muffins. Wow! 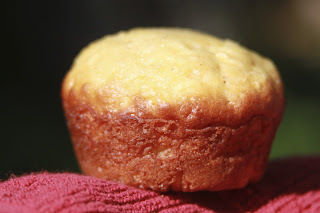 Give me a year break from parsnips, and a fabulous muffin recipe, and I am a whole new woman! These things are great! They really are nice and light and fluffy. They are sweet and the nutmeg gives them just enough interest. The kids aren't so afraid of my vegetable antics any more, and they gobbled these muffins all up right away. As a matter of fact, I am going to make more this week. This is basically Alton Brown's recipe, but I had to convert his measurements from weights into cups, so I thought I would just give it to you the easy way. Combine the flour, soda, baking powder and salt in a mixing bowl and set aside. In a mixer, combine the eggs, yogurt, oil and sugar until well blended. Add the parsnip and then the dry ingredients. 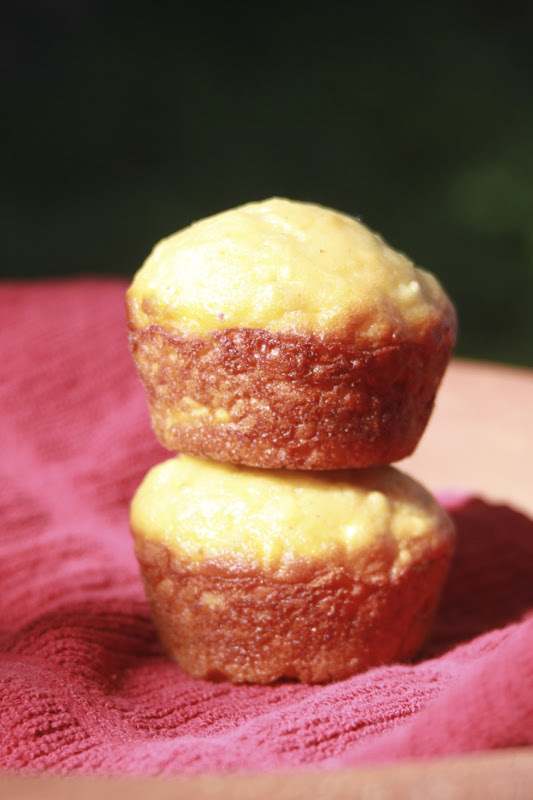 Pour into greased (or paper-lined) muffin tins. Bake for 20 minutes or until they're golden brown and they spring back to the touch.